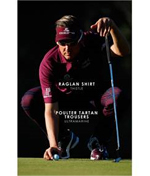 As the European Tour season comes to a close, IJP Design is giving away a free hat to anyone who purchases any two pieces from Ian Poulter’s favourite European Tour outfits. IJP Design is celebrating Poulter’s 2013 season and the culmination of the Race to Dubai by offering a hat worth £17.95 to their customers who buy two specific items online. The IJP Design Weekend Giveaway includes four different outfit variations to choose from at www.ijpdesign.com This giveaway only lasts from 14-17th November. The shirts and trousers range from £39.95-99.95 RRP, and the free hat is automatically added to your order once two pieces of clothing are selected. 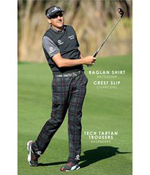 There is a wide variety of patterns and designs on the shirts and trousers for a sharp look on and off the course.